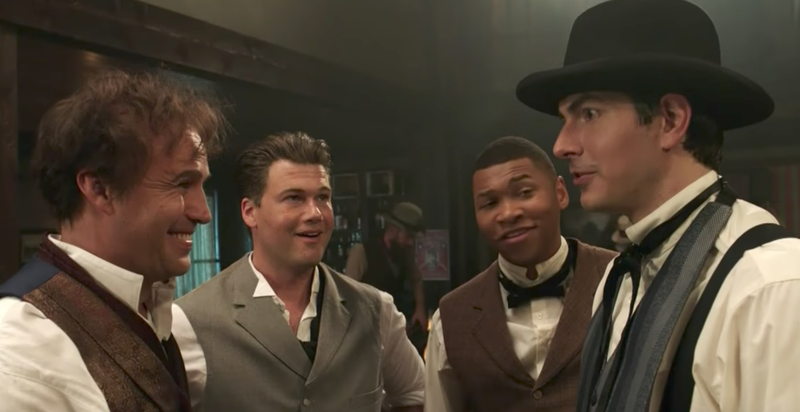 Legends of Tomorrow 3x02 Reaction Thread: "Fenómenos"
Legends has embraced the ridiculousness, and the fun episodes continue this season! Our merry band of screwups (for the better) is now going to the circus. Come chat about tigers and evil clowns and Kelly Anne Conway. Episode Info: The Legends find themselves in 1870 to fix the anachronism which happens to be at P.T. Barnum’s fledgling circus. However, Nate (Nick Zano) and Ray (Brandon Routh) accidently free a saber toothed tiger, creating a bigger problem. Meanwhile, P.T. Barnum (guest star Billy Zane) is on the hunt to capture Nate and Ray to make his show even more exciting for the crowd. Caity Lotz, Maisie Richardson-Sellers, Victor Garber, Dominic Purcell and Franz Drameh also star. Keith Tancharoen directed the episode written by Keto Shimizu & Grainne Godfree. I love how ridiculous this show, and yet it’s probably the most logical one of the four current DCCW shows. I will come back with my snarky comments later! Meanwhile, react people!